We’d love your help. 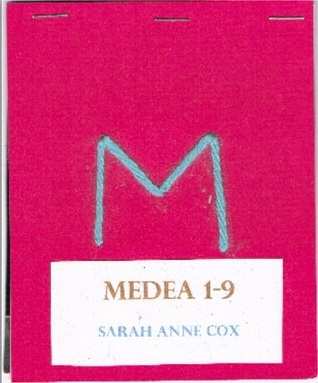 Let us know what’s wrong with this preview of Medea 1-9 by Sarah Anne Cox. To ask other readers questions about Medea 1-9, please sign up. "Medea 1-9" is Sarah Anne Cox's treatise on near-drowning ("...couldn’t dive deep enough to / reach it....") and its many variations. It is a lovely boatload of mythical elements and waterlogged detritus.